Will China continue to have a viable market economy with socialist characteristics? Just a few days ago, China commemorated 40 years of opening up of the economy through reform. President Xi Jinping affirmed the country’s commitment to reform but stressed that the Communist Party’s dominance and leadership has been the key to China’s economic achievements. In his 90 minutes speech, Xi reiterated his support for strengthening the private sector, promoting innovation, and solving unbalanced development, but he did not provide any details. While these promises aim to boost private sector development, entrepreneurs appear to have significantly soured on their economic outlook and business confidence following recent shifts in government policy, including growing pressure to set up Communist Party cells within private enterprises. Last year, Chinese authorities requested “comprehensive Party building” in the private sector, including within foreign companies operating in China. Requiring private companies to set up Party branches or Party cells is not a new practice. Since early 2000, private enterprises with three Communist Party members had to establish a Party cell. A Party cell has managerial or governance function and is a way to co-opt the private sector. Recently, the government has begun a new push to set up Party cells in private companies and even in foreign firms and joint ventures, at a time when the political power in China has become more centralized than ever. By 2016, the ratio of the nonstate enterprises that had Party cells had risen to almost 70 percent, a significant increase from just one year prior. Foreign companies in China feel the pinch as well, with an equivalent 70 percent of foreign companies hosting Party cells. Groups like the German Chambers of Industry and Commerce in China have warned their members of Communist Party attempts to strengthen its influence on wholly foreign-owned companies operating in China. The impact of adding a Party cell goes far beyond an increase in the cost of doing business. It also impacts the corporate structure and management decisions as they grow more opaque with the blurring of lines between the state’s role and private ownership. In so doing, this policy threatens to reverse China’s four decades old reform agenda of opening up to private enterprise as an engine of growth. In fact, entrepreneurs feel very insecure about their ownership and control over their businesses and companies. For instance, Alibaba’s Jack Ma once said that if the government wants to take over Alipay (value at $150 billion), he will gift it to the state without complaint. Tech startups are increasingly encouraged to sell shares to government bodies so that government-designated representatives can sit on the board to participate in management and operating decisions. Doing business in China will remain a challenge as the country continues to be ruled by the party rather than by the rule of law, with the state omnipresent in the board rooms of private companies. The government can have more private sector forums like the one in November chaired by Xi to try to revive the confidence of the private sector. But rhetoric alone is not sufficient; the real challenge is whether the government can promote the rule of law, respect private ownership, and allow space for a free marketplace of ideas to flourish. Catherine Tai is the Program Officer for Asia of the Center for International Private Enterprise. 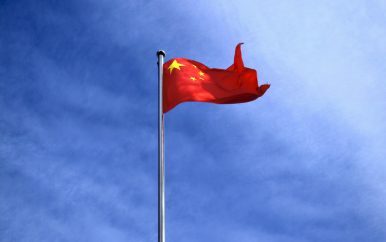 China needs the private sector to prosper, but its unpredictability continues to worry the CCP.